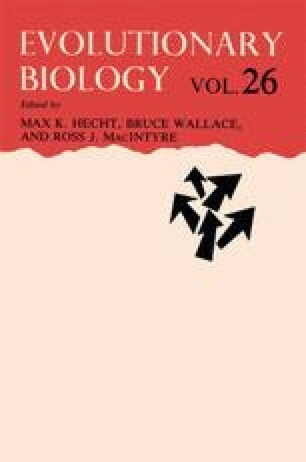 Soon after the introduction of electrophoretic techniques to study the genetic structure of natural populations of animals and plants came the realization that enzymes differed in their levels of variability. Some enzymes, such as esterases and phosphoglucomutases, were frequently polymorphic, whereas others, such as superoxide dismutase and glutamate dehydrogenase, were so only rarely. Initial explanations focused on physiological considerations, such as the degree of substrate specificity (Gillespie and Kojima, 1968; Gillespie and Langley, 1974) and the regulatory nature of the enzyme (Johnson, 1974). Correlations were observed in some groups of organisms but not others, and there were some conflicts of opinion concerning the proper allocation of enzymes to particular categories (Selander, 1976).